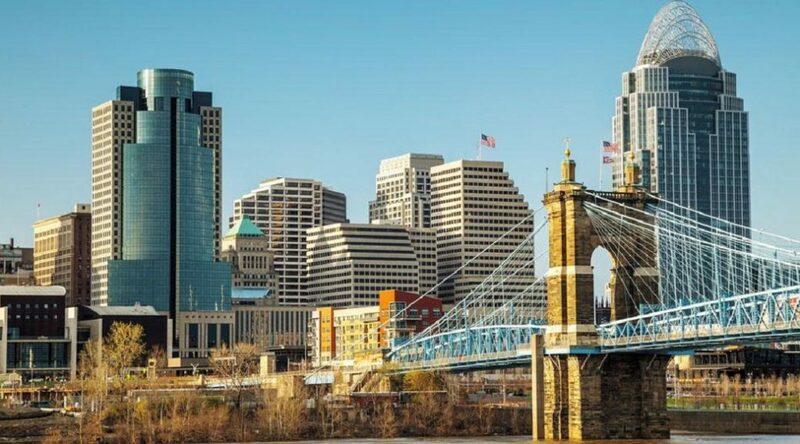 If you’re from the Cincinnati area you’ll know what this is and if not, you should try it. 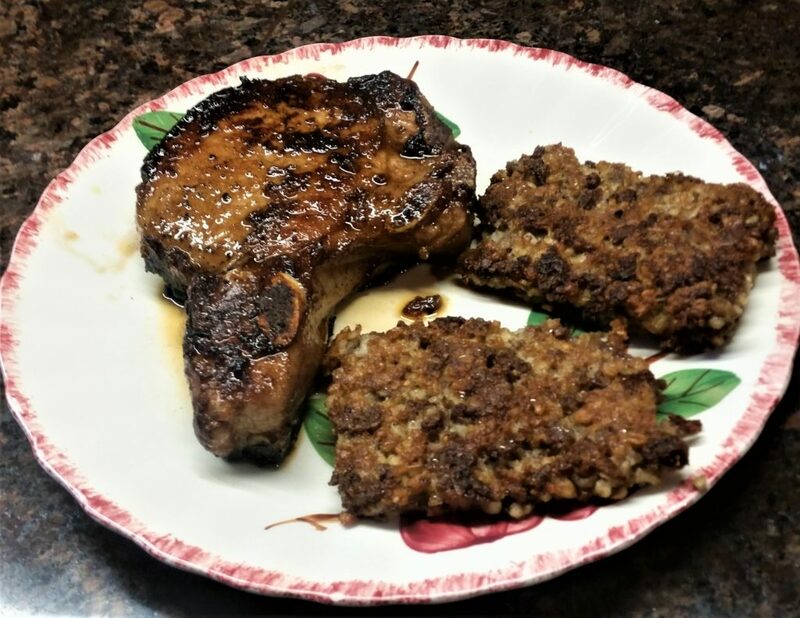 Goetta (ged-da, silent o, pronounce like feta) is a hearty breakfast side made of oats and meat that’s fried and goes great with eggs. It’s of German origin and I can’t think of anything to compare it to, so taste it and form your own opinion. It may not be Italian but it’s certainly cucina povera in that it started out as a tasty way of preparing a hearty breakfast when there isn’t enough meat to go around. 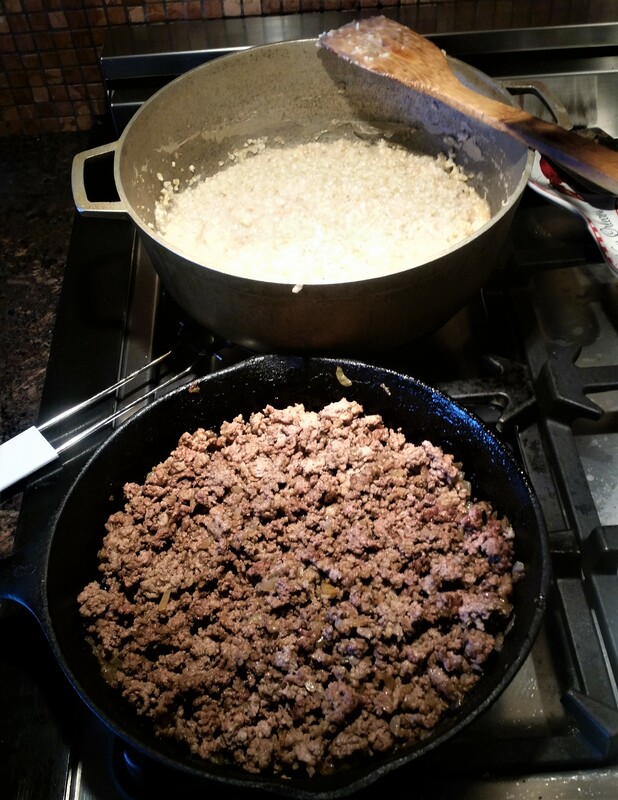 A couple of points to remember: (1) you must use steel cut oats, not rolled or instant and (2) some people use ground beef with the pork sausage and others use ground pork, it’s up to you. 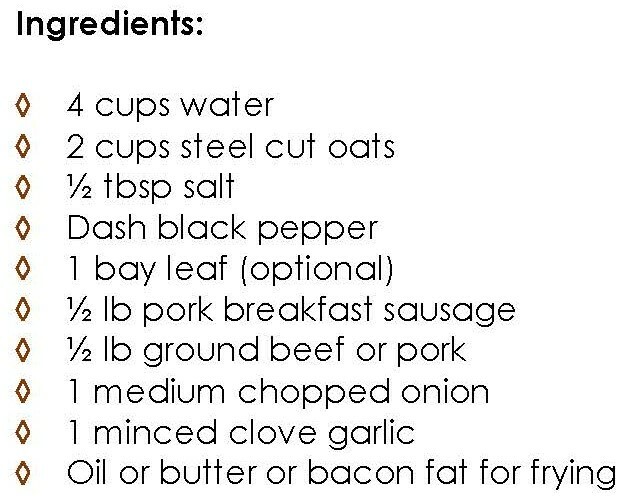 Add oats, salt, pepper, and bay leaf to the boiling water. 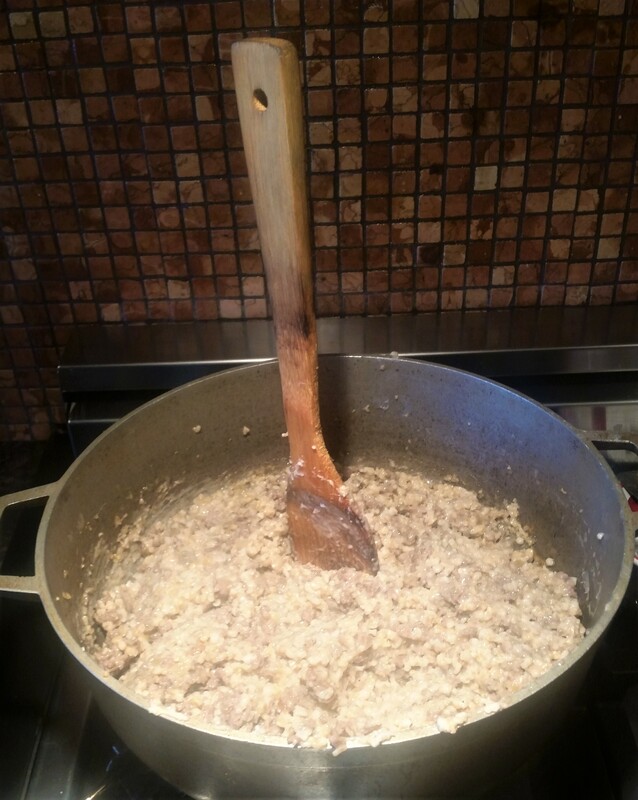 Return to a boil, lower heat, stir and simmer until the oats are cooked and thick (1 to 1 ½ hours), stirring occasionally. Fry the onion in oil until soft and transparent. Remove the sausage skins and discard. Add the sausage meat, chopped meat, and garlic, seasoning with salt and pepper. When it’s done, set aside the meat-onion mixture. 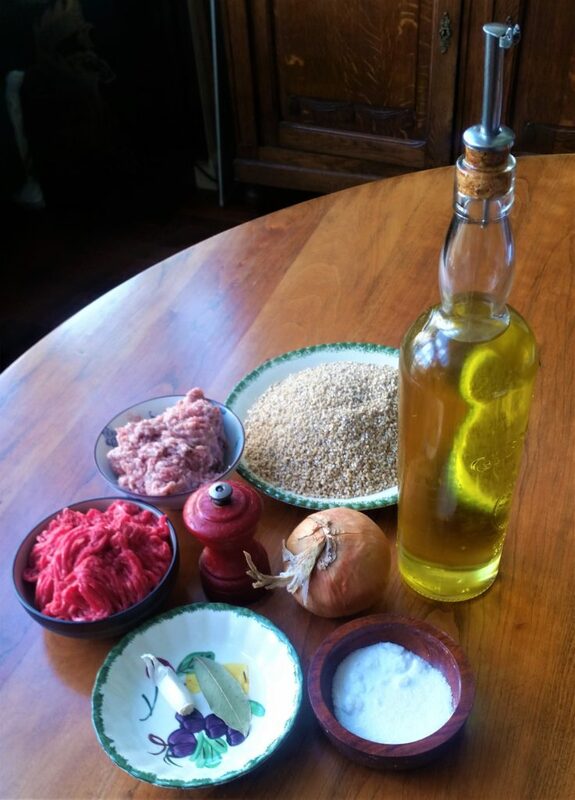 When the oats thicken, remove the bay leaf and add the meat-onion mixture and blend thoroughly. Cook for another ½ hour. If it’s thick enough for the spoon to stand up in, it’s done. If not, continue cooking. If it’s too dry, add a little water. Let it cool a bit and then pour it into a greased baking pan. It doesn’t matter if the pan is too big too big. Spread it to about a ½ inch thick layer. Cover and refrigerate overnight. 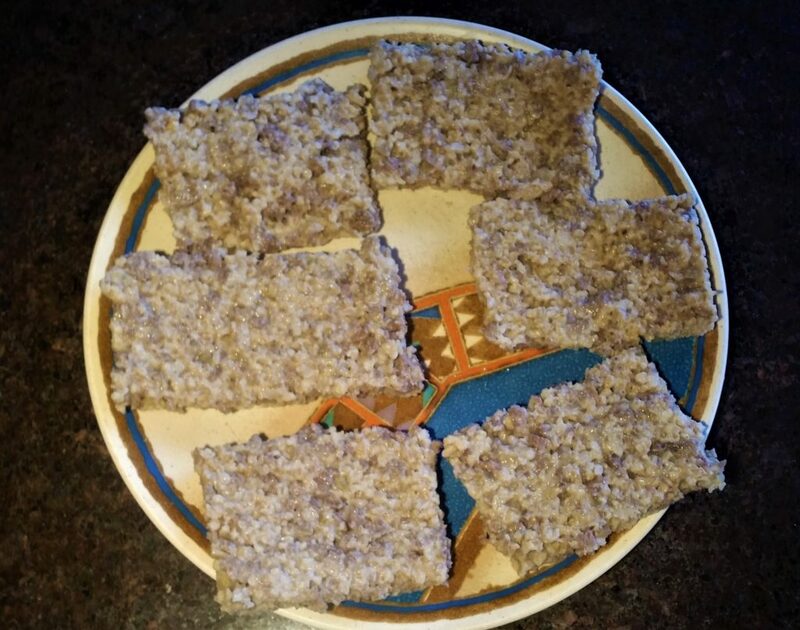 Turn the pan over and cut the goetta into serving sized pieces. I got 12 out of this recipe. 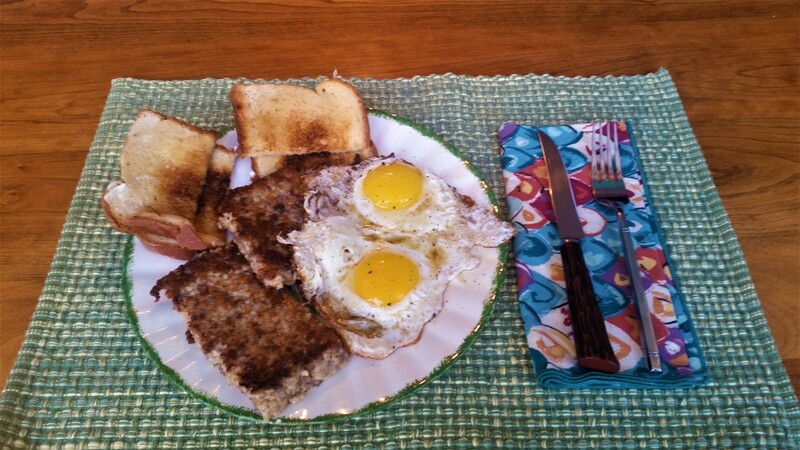 Fry and serve as a side with eggs or anything else you’d like. You can freeze any left-over pieces but wrap them separately so they don’t stick together. And it’s not just for breakfast.